You can import all elements of your PRODUCTS such as price, title, quantity, description, UPC, item specifics e.g. size/colour/brand, images etc). eBay variables such as categories, shipping settings, return policies etc CANNOT be imported. They are quickly and easily set using Xpress Lister AFTER import. 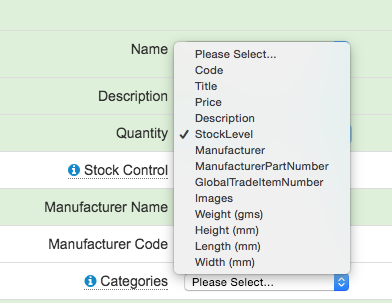 It is simple to do this (individually or in bulk) and avoids listings failing to get created because invalid values have been imported (we provide dropdowns for you to choose from). You can either use your own product spreadsheet and map the appropriate columns during import (see below) or you can use our import template.